Do you really need to invest a huge amount for your internal knowledge base? Is it convenient to use that high paid software? Find the answer to these questions and also find the best and cheaper alternative to Help Scout. Documentation is nothing but the set of information regarding the services or product you offer. Therefore, it should be informative and easy to understand. Usually, you may get the user guide along with the electronic product. But having a Knowledge Base online helps in the availability of the data. In the case of Online Documentation, the most important is that it should be available to your customers. The customers are getting smarter nowadays. Hence, if they have any doubt they’ll first visit your Knowledge Base. Product documentation is something tedious to work on. Therefore, there are many tools available to create documentation. The most common for offline documentation is the MS-WORD. But in order to create online documentation, there are many platforms available. For example HelpScout, Zendesk, Wiki, and many more. Let us consider the most popular platform Help Scout. Help Scout Help Desk is the most popular platform for every business. You can create Documentation for your product and services. Help Scout offers many other services and charge accordingly. Help Scout offers you to create help content for your customer at one place. They also provide their server space where you can store your Knowledge Base. But the question is why should we store our Internal Knowledge Base on other’s server? Why we should pay a huge amount on this software? The biggest disadvantage of Help Scout is the amount they charge. Many popular businesses use Help Scout for their documentation as they can afford it. But what about the small businesses? They can’t even think about spending $20 to $40 a month only for their documentation. Therefore, this needs to be changed. Well! Documentor WordPress Plugin is the perfect alternative to the Help Scout. 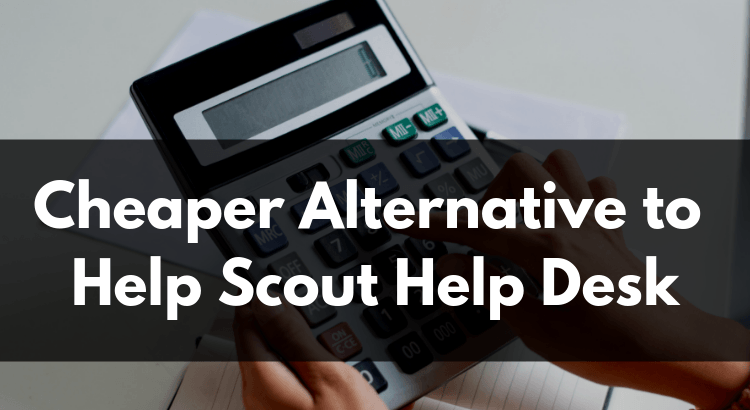 Now, are you searching for an alternative to Help Scout and that too in your budget? Your search ends here. The easy to use and cheaper alternative to Help Scout is Documentor. 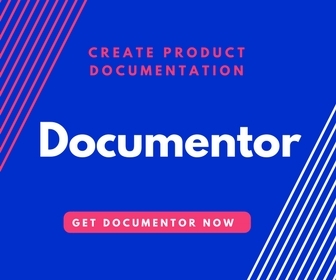 Documentor is one of the most popular WordPress plugins for creating online documentation, user manuals and help guides. It is designed to improve the customer’s interaction with the Knowledge Base. The plugin is very easy to use and best cheaper alternative to Help Scout. You can create unlimited user guides and Knowledge Bases using Documentor. Let us see what Documentor Plugin offers you. Documentor comes with two different variations. The first one is Documentor Pro. Documentor Pro is simple and easy to use WordPress Plugin to create One Page Online Documentation. You can create unlimited user guides for your organization. You can store the Documentation Guide on your own server. Your content will be safe and secure with you. You get a shortcode and template tag for each document you create. Therefore, you can embed it anywhere you wish to display. The Documentor Lite version is free of cost and available at WordPress.org. The limitation of Documentor Lite is that you can create only one Documentation guide. Therefore, if you want to create single page documentation, then the Documentor is the best fit. The second one is DocumentorKB. DocumentorKB is somewhat similar to the Documentor, but you can create a full fledged multi pages knowledge base with this plugin. You can design a beautiful front page for your Knowledge Base as well using free page builder plugins available for WordPress. Inline Docs: You can create custom posts in Documentor using the Inline feature. These sections will be considered as the Sections in your Knowledge Base. Drag and Drop Reorder: You can easily arrange your sections/posts/pages added into your guide or Knowledge Base. All you have to do is just drag and drop your sections to their desired places. Save as PDF: You can also save your documentation in a PDF format. Multiple Skins: Appearance of your guide matters a lot. Therefore, Documentor comes with 5 different skins. User Feedback: Users reading your guide can give their feedback on your written articles. Therefore, this will be helpful in order to improve the information. Live Preview on Dashboard: Once the guide is created, you can preview it before embedding on your website. Unlimited Documentations: In Documentor Pro and DocumentorKB you can create ‘n’ numbers of user guides. Shortcode and Template Tag: The shortcode and template tag are only available in the Documentor Pro and Lite. The DocumentorKB consists of the Links. Now though it is the cheaper alternative, still it offers various add-ons with it. User Access Manager is a widely used WordPress plugin for restricting access. Therefore, Documentor and DocumentorKB are both compatible with UAM. The addon allows you to restrict access to your guide and helps maintain confidentiality. Hence, you can secure your Knowledge Base using “User Access Manager Integration” Addon. If you have created a document with a .docx extension, then you can easily import it into your guide. Sometimes it may happen that you might delete your guide. But you can always of a backup of your guides and restore them whenever required. Therefore, considering the above points we can say that Documentor is the best and cheaper alternative to Help Scout. Looking forward to hearing from you as well through the comments section below. Sumeet Pawar is a Digital Marketer born and raised in India. He loves to read and write blogs. He writes blogs on different platforms. He loves working on WordPress and writes unbiased Plugin reviews.